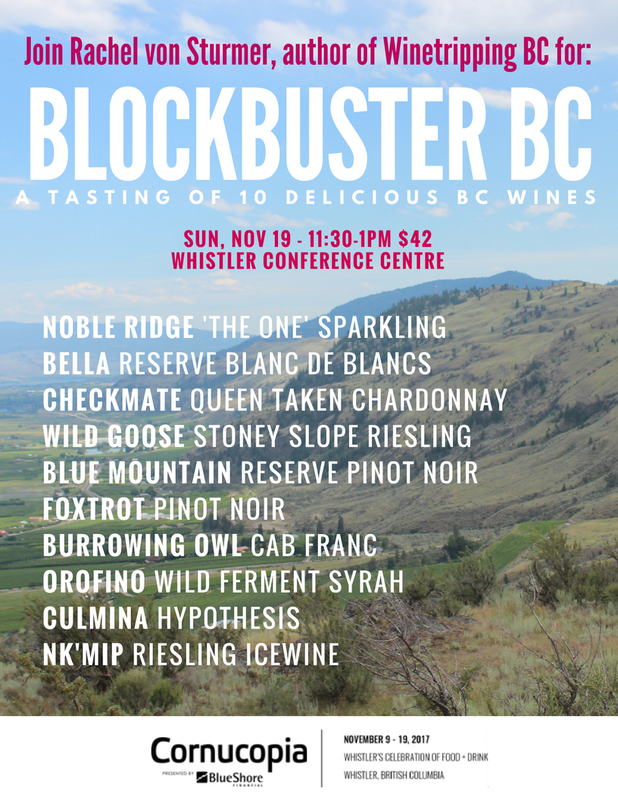 I'll be presenting two sit down seminars the weekend of Nov 18-19 in Whistler, BC for Cornucopia Wine Festival, on topics I'm passionate about: Blockbuster BC, and Wines from Old Vines. Hope to see you there! Tickets are available online from Cornucopia.